Your Imagely theme includes a Header Menu area and a Footer Menu area. 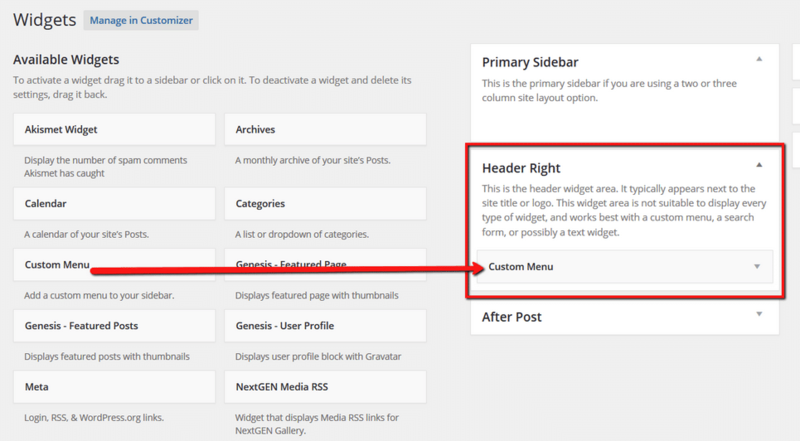 The Header Navigation Menu will display in the site header next to the site title or header image. The Footer Navigation Menu will display below the site footer. Go to Appearance > Menus and create your menus. Add your menu items and then save the menu. 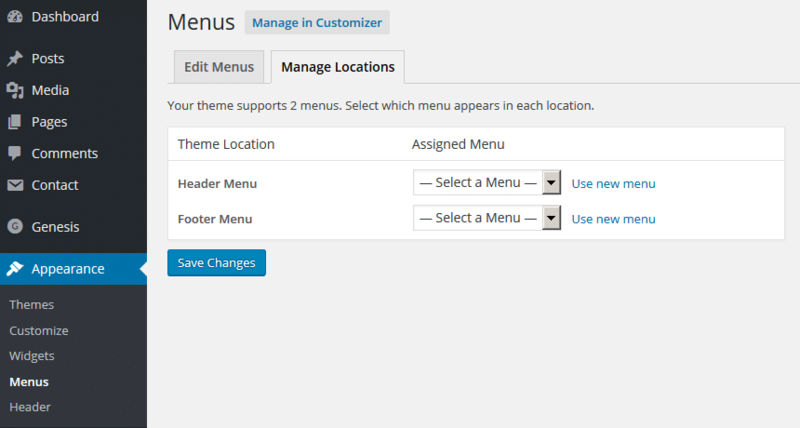 The default navigation areas can be enabled or disabled under Appearance > Menus > Manage Locations. Use the drop downs to select a menu you created. To disable the Navigation Menu locations, set the Header and Footer Navigation Menus to the Select a Menu option in the drop downs.